The setup, price and facilities in coworking spaces make them an ideal place for business networking groups. Why not expand your network today? As we increase our coworking spaces throughout the UK, we are receiving more and more enquiries from business networking groups looking to host events. Our co-working spaces are now available at three of our large business centres, with plans to introduce more in the future. Known as the Work Lounge, their setup, price plan and business facilities available make them an ideal choice for business networking groups. Here are some ideas for why your business networking group might consider moving to The Work Lounge in 2014. At the Work Lounge, we have clear hourly charges, so there will never be any nasty surprises about costs. You can simply use the space for as long as you need it. Our coworking spaces are a hotbed for fresh business talent. If there is one in your local area, it makes sense for you to be tapping into a fresh source of membership and letting other customers know more about your organisation. Unlike a traditional meeting room, our Work Lounges offer flexible space and a variety of tables and seating for you to choose from. This makes them ideal for both smaller groups, who may not need use of a large meeting room, and bigger groups who may feel cramped or restricted around a boardroom table. 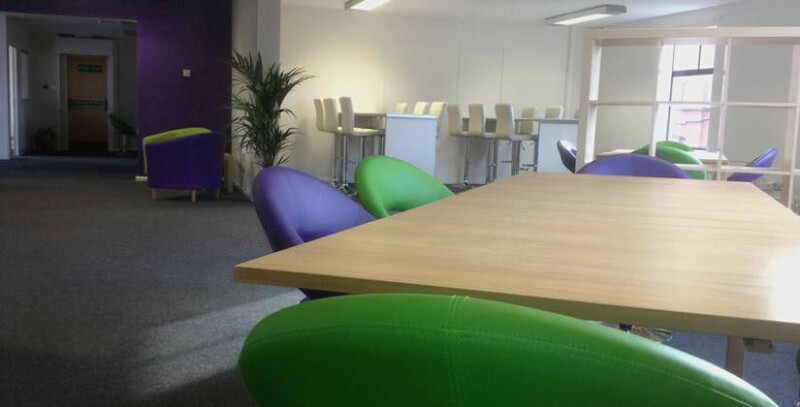 Bizspace aims to create a strong community feel within our business centres. Not only will we make your members feel welcome, but you will benefit from the buzz of an active working environment, which can be very different from meeting in a hotel or community venue. As part of the price, our Work Lounges offer free tea and coffee facilities, use of our kitchen area and high speed WiFi. There is also parking available at selected locations.